If you want to update the look of your backyard, landscaping around your deck or patio can have a big impact. These small renovations can improve the function of your outdoor space by providing more shade making the space more practical. Here are a few backyard landscaping ideas for your deck or patio to get you started. Lattice can easily be used to create a barrier on your deck, beside your patio, along one side of your pergola, as a fence, to block the view of your neighbor’s house – the possibilities are endless. What makes lattice so great is it gives you tons of styling possibilities. Choose a classic, crisp white or a neutral wood shade. Use the lattice to grow vining plants like ivy, morning glories, or moon flowers. Or you can use the lattice to hang potted plants, signs, artwork, and more. The sound of running water has a calming, serene effect. Not only can it add a feeling of zen and relaxation to your backyard, this white noise is very effective at blocking out other noises you might rather not hear, like nearby traffic or your neighbors. There are many ways to incorporate a water feature near your deck or patio, such as hanging a waterfall wall, installing a fountain, or putting in a small pond with a waterfall. A fire pit is a great addition to any deck or patio area. It is something you will find yourself using year-round. In the summer, it is the perfect place to roast hot dogs and marshmallows while telling campfire stories. As the nights grow colder, the fire pit serves as a great source of warmth for enjoying a chilly winter night gathered around the fire. 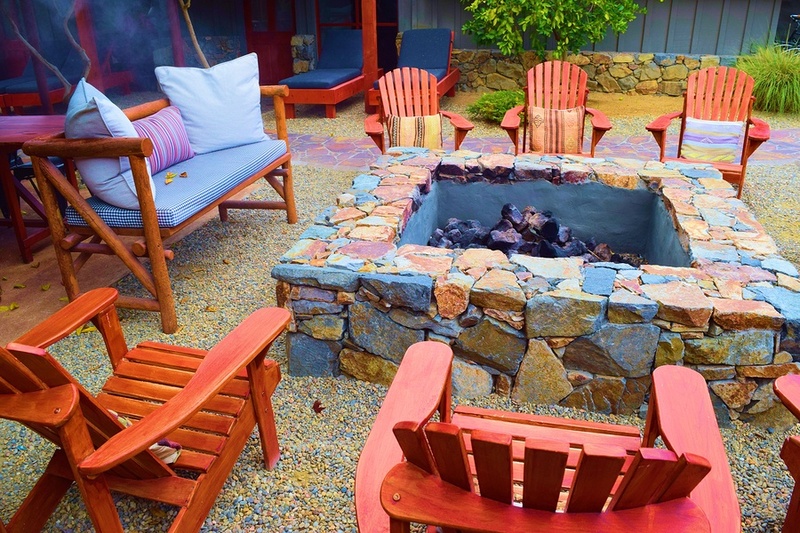 Your fire pit can be as simple or as elaborate as you like – ranging from premade options you can buy in stores to custom-built, complex designs. If you have a patio underneath your deck, this is the perfect place to put up a few hanging chairs. They are comfortable and fun for kids and adults alike. Plus, they come in a great selection of whimsical and eye-catching designs. Add more shade and function to your backyard with Polar Shades motorized exterior retractable shades and retractable screen doors. Contact us today at 702-260-6110 to schedule your free in-home consultation with Polar Shades.